Looking for a fun and unique way to announce the gender of your baby? 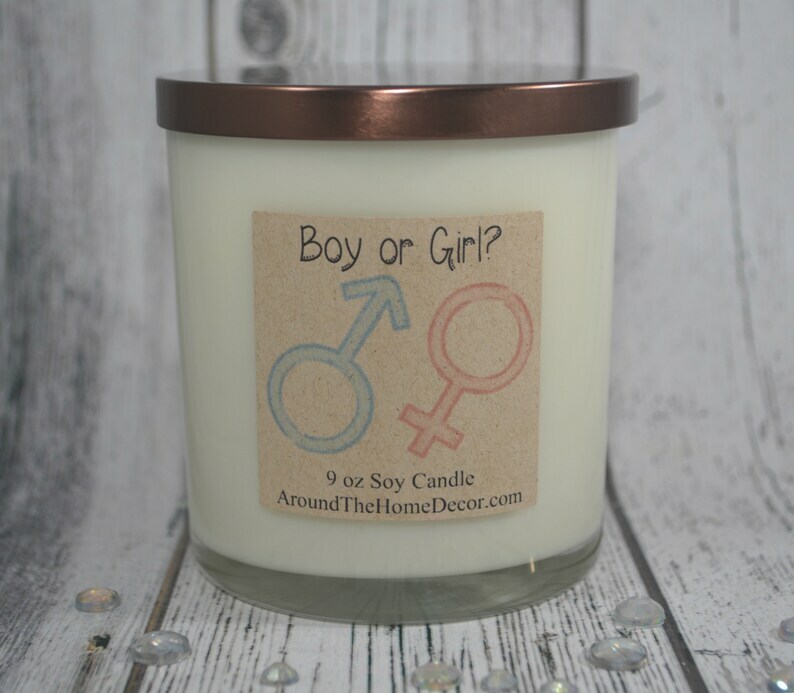 This handmade Gender Reveal Candle is elegant, attractive, and delightful! This candle starts out white and will reveal the hidden color as it burns. Pink or Blue? Which will it be? Surprise your baby shower guests or your family with this unique candle announcement. - Make sure to include your Fragrance of choice in the "note to seller" during checkout. Absolutely loved it . Got it for my mom to surprise her and worked out great !